RapidKL Bus T628 services between Asia Jaya LRT Station and Section 17 Petaling Jaya. RapidKL Bus T629 also available at Asia Jaya LRT Station. How long will it take to go to Asia jaya lrt station from happy garden? Hi, you can take RapidKL T628, it takes about only 5 minutes journey, but the bus come in every 30-40 minutes. 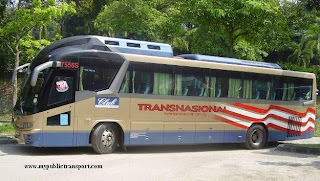 hi, may i know what is the time that the bus t629 will be at lrt asia jaya around 3pm? and what bus should i take from plaza 33 to lrt asia jaya? thank you. Hi, the bus comes about every 45 minutes around 3pm. You can choose to walk to Plaza 33 directly. Hi, if I want to go to the nearest Lrt station from Three Two Square via Rapid KL bus, which bus should I take and at which station I can get the bus? Hi, you can choose to walk to Asia Jaya LRT station or take Metrobus 99 or RapidKL U88. Hw do i get to johson and johnson frm asia jaya lrt station? Hi, you can take LRT to Taman Jaya station, then take RapidKL T505 to JNJ. Hi how do i get to PJ section 13/4 (COLGATE) from OUG Parklane? Or from Asia Jaya LRT to PJ section 13/4? Hi, you can take RapidkL U60/U68/U69/U70 or Metrobus 20/21/58 to Mid Valley, then take RapidKL U85, or Metrobus 12 to Jaya 1 and walk to Colgate. 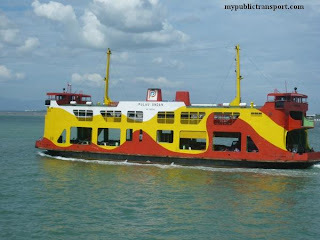 hy plz tell me can i take u86 bus from Asia jaya lrt stsn????? Hi, you can't. 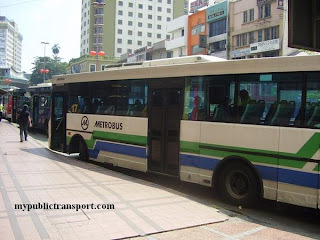 You need to take RapidKL U88 or Metrobus 99 to 1Utama before you can take U86. Can someone help me i.e. which bus do I take to go to Jaya One in the morning from LRT Asia Jaya? Frequency too please. By the way, which bus do I take from there after office hours to go to LRT Taman Jaya? HI， it will be faster if you take Rapidkl U85, T635, Metrobus 12 from University Station. From Asia Jaya, T628 to Jaya One only move every 45 minutes. For return, you can take Pj02 free shuttle to Taman Jaya. 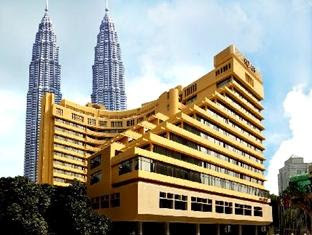 Hi, can I get from Menara Star / Eastin Hotel to any KTM station? You can take T629 from Eastin Hotel to Asia Jaya LRT station. If you want to go to KTM station, you can then take LRT to KL Sentral. hi, may I know which bus I should take to go to lrt asia jaya from sect. 17/4 Pj.. and how long it'll takes? Hi, you can take walk to Jaya One and take RapidKL T628 to Asia Jaya LRT, the journey is only 15 minutes, usually need to wait about 30 minutes. You can just take PJ free shuttle to Taman Jaya actually, or Metrobus 12, RapidKL U85 to Universiti LRT Station, which is faster. hi, how do i go from flora damansara in damansara perdana to seksyen 19 petaling jaya? the company near to toyota. and then from flora damansara to avon in front of federal highway? thank you. Hi, you need to take RapidkL U86 to 1Utama, then take RapidkL U88 to Section 19 (stop at Jalan 21/1). 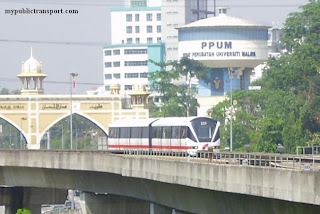 From 1Utama, you can take RapidKL u88 to Taman Paramount LRT (stop at Jalan 21/1 too). then take RapidkL T627 to Jalan 225 and walk to Avon. is there any metro bus or other bus besides rapidkl that can go straight to the company in seksyen 19? or any kind of buses just stop at 3 two Square ? 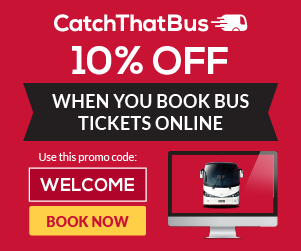 Hi, you can take RapidKL U88, Metrobus 99, or RapidkL T628 to Section 19 and 3 2 Square. hi, sorry. one more. how to go from tiara damansara condominium so Section 19? Hi, you can take RapidKL T628. 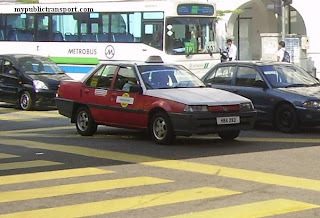 You can stop at Sin Chew or Dutch Lady and walk to Section 19.
then, when im going back i have to take t628 too from dutch lady or sin chew to tiara condo? From Section 19, it is slightly different. To avoid walking too far, you can go back to the place where you get down and take RapidKL T628 to Asia Jaya LRT, then take RapidkL T628/T629 from Asia Jaya LRT to Tiara Condominum. This is because T628 is a looping service. okay.. so usually how long time taken from tiara condo to dutch lady ? Usually the trip is like 5-10 minutes, but T628 only comes every 40 minutes. You can use Moovit to check the arrival time. Hi, if you are from 17/2, i think it will be faster if you just walk over to Section 19 because T628 comes every 40 minutes. From Section 19, if you take T628 then you need to go to Asia jaya and make a loop back to Section 17. So it is better to just walk over, or walk to Jaya one and take RapidKL U85, or Metrobus 12 to Menara Amfirst, then only walk to Section 19.
you said walk. then, section 19 not too far from 17/2 if i walk? i thought cannot walk as there will be highway and there is no space for pedestrian? Hi, from 17/2 to Section 19 is less than 2km only for the furthest distance. It is convenient to walk there as there is no highway overthere, and the pedestrian walkway is build with OKU facilities. If I wanna go to tan chong motors nissan from asia jaya what bus I have to take? Hi, you can take RapidkL T629 and stop at Jalan Kemajuan. 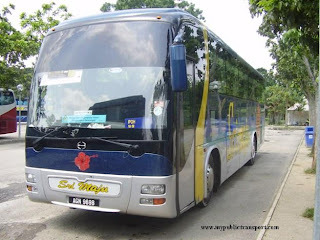 Pls advice Bus from Sek 17/21 to 1 Utama Petaling Jaya and return. Hi, you can walk to Sprint Highway and take RapidKL U82 to 1Utama. The return journey is just the opposite. hi, admin, sy nak tanye daripada ioi mall puchong nak ke digital mall pj kena naik bas nombor berapa ye? dan nak balik semula ke ioi mall puchong dari digital mall pula bas ape..
Hi, you can take Metrobus 600/601/602/603/604 to KL Sentral, then take RapidKL 780 to Digital Mall. 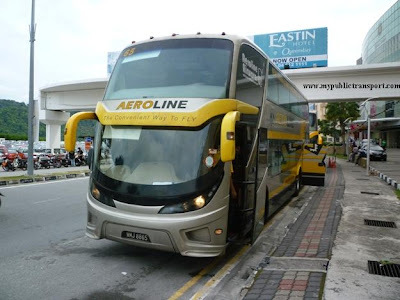 any bus to menara amfirst from asia jaya lrt? how long will it take to reach and how many bus in one hour? Hi, you can take RapidKL T786 to Amfirst Tower. It takes only 5 minutes but you need to wait up to 40 minutes. any bus to Gerak Budaya in seksyen 11 from lrt stations? Hi, you can take T787 from Asia Jaya LRT station. 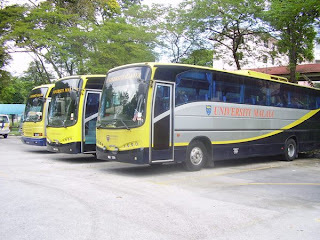 Hi admin, if i want to go frm universiti station to happy mansion, which bus should i take? Thank you. You can take T790 to Jalan Universiti and walk to Happy Mansion, you can also take T786 or T787 from Asia Jaya LRT Station. Hi, you can take RapidKL T790 to SS2, then take RapidKL 780 to Damansara Utama. If you can access to Sprint Highway, then you can directly take RapidKL 800 from Sprint HIghway to Damansara Utama. hi admin,from sentul to finas petaling jaya,which lrt I have to take? Hi, you can take LRT from Sentul to Masjid Jamek, then take Kelana Jaya Line LRT to Taman Jaya Station, then you can take PJ02 shuttle to Jalan Semangat and then walk to FInas. 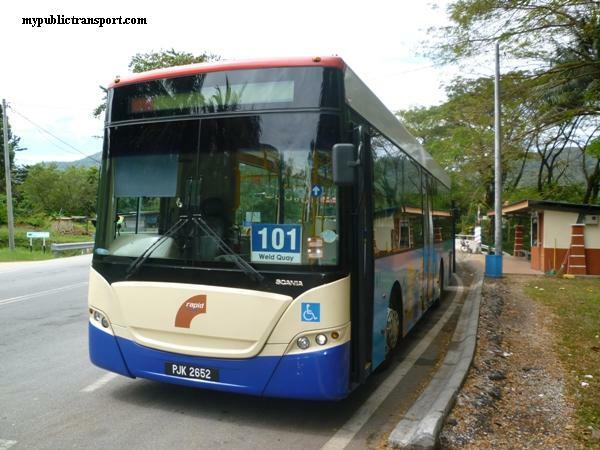 Hi, you can take RapidKL T787 from Asia Jaya to Siemens Malaysia near Phileo Damansara. Hi, if i want to go to plaza 33 from lrt asia jaya, which public transports offer the best in term of time and cost? Hi, you can take the free PJ02 shuttle outside of the LRT station. It is also safe to walk directly. Hi.is there any bus or tren from damansara damai to central market? hi,is it walking distance from LRT asia jaya to plaza 33? Yes, or you can take T786 or T787 or PJ02 shuttle. Hi, can i know how i go jaya one in taman jaya around 7-8am in the morning?? hi, can i know got any bus go to toyota showroom and service center? Hi, you can choose to take RapidKL T790 from Universiti LRT station, or take PJ01 and PJ02 from Taman Jaya LRT. Hi, you can take RapidKL 780. Hye. If from jalan 17/4 to plaza 33 got bus huh? Hi, you can take T786 from Jaya One to Plaza 33.
may i know what bus to take to go hong leong bank at pj city or avon from universiti lrt station?? Hi, you need to take LRT to Taman Paramount, then take T785 to this stop and walk to Hong Leong. Hi, how do i go to dutch lady, jalan semangat from lrt station asia jaya? Hi, you can take T786 or 780. Hi, you can take KTM from TBS to KL Sentral, once you reach KL Sentral, you can take RapidKL 800 to Menara Star. Hi..can I ask isn't from jaya 33 beside fitness bus stop,bus t780 got go to kelana jaya line? Hi, you can take RapidKL 780 or T786 to Asia Jaya LRT Station. Hi,may I know how to go to Jaya One from KL Sentral? 2. Take LRT to Taman Jaya, then take PJ01 or PJ02 to Jaya One. 3. Take LRT to Asia Jaya, then take T786 or T787 to Jaya One. Pj01 and Pj02 are free. Hi, if i want go to jaya one from Asia jaya lrt or taman jaya lrt..may I know how frequent the bus come? Hi, you can choose to take PJ01 or PJ02 from Taman Jaya LRT, they are every 20 minutes and free. You can also take PJ01, PJ02, and T786 and T787 from Asia Jaya LRT to Jaya One. Hi tahnk for your reply. What if I want to go to Taman Jaya lrt from Jaya one shopping mall, which bus I should take? Same question for if I want to go to Asia jaya lrt from Jaya one shopping mall. Moreover, may I know about the range for the bus fare and how frequent the bus came at 6pm? Hi you can take those same bus to get back to Asia Jaya and Taman Jaya LRT, at the same place you get down. PJ01 and Pj02 are free and the rest are Rm1, (Rm0.80 if you pay using Touch n Go) They are normally every 20 minutes. Hi, may i know how to reach the Sphere from seksyen 19/13a pj? Will it take long time to reach? Hi, you can take RapidKL T790 to Universiti LRT, then take T789 to The Sphere, the journey should be roughly 30-40 minutes. Hi, I've to go from Palm courts condominium to New Vision Badminton academy (Seksyen 13) Petaling Jaya. Which bus no. should I take to reach to this place. Please guide. Hi, you can take LRT from KL Sentral to Asia Jaya, then take PJ01, PJ02 or T786 to Jaya 33, New Vision Academy is behind Jaya 33. May I know how to go The Sphere from Tiara damansara condo(ss17)? How about travel back from the sphere to tiara condo? TQ. Hi, you can walk to Jalan Universiti and take T790 to Universiti station, then take T789 to The Sphere. The return journey is just the opposite. Can i know how to.go wisma hing from asian jaya? Hi, you can take RapidKL 780 or PJ02 from Asia Jaya to Poh Kong SS2 and walk to Wisma Hing. Hai admin , may i know what the best public transport (lrt/rapidkl) that save time to go plaza 33 from university station ? Hi~admin!is there a way to sin chew jit poh from LRT asia jaya? Hi, you can take T786, PJ01 or PJ02. Hi, I really need ur help..
1) the scott garden jln klang lama from flora damansara? How much it cosh? 2) the scoot garden jln klang lama from glenmarie lrt station? 1. From Flora Damansara, you need to walk all the way down to Damansara Perdana and take 801 to 1Utama, then take 780 or 800 to KL Sentral. From KL Sentral, you can take 600, 601,602,603,604, 640, 641 to SCott Garden. 2. You can take LRT from Glenmarie to Subang Jaya, then take 641 to Scott Garden. How long it takes from lrt asia jaya to jaya 33 by walking? Hi, it takes about 15 minutes. 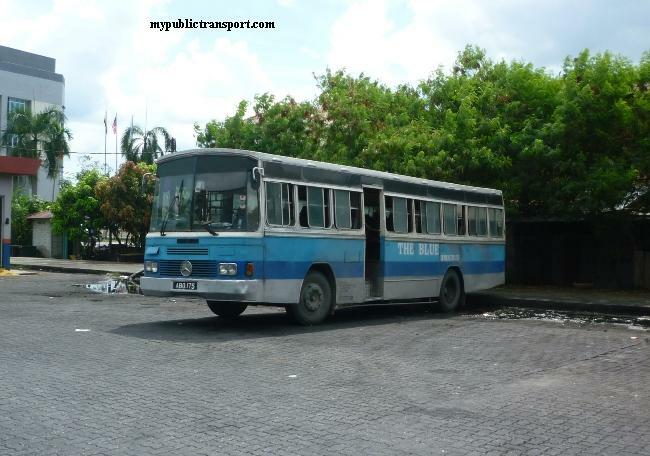 where to take bus from 3 2 square to asia jaya ? 1) Could you tell me the available bus to go 3 2 square from asia jaya? and which bus station should I stop ? thank. 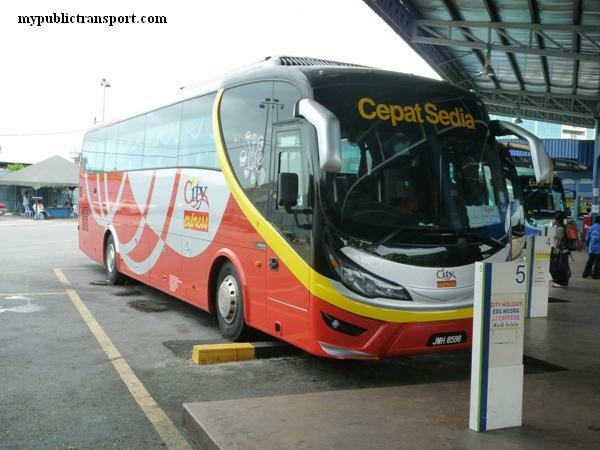 available bus to go 3 2 square from asia jaya ? only rapidkl 780 ? Hi, if I want to go to Jaya One frm Asia Jaya LRT, is there any alternative frm the bus T628 as need to wait for 30-40 min for the bus? And if the distance frm the bus station or asia jaya lrt to Jaya One is how long? If i hook in a cab, how much will it cost then? Hi, you can walk out to Jalan utara and take PJ01 and PJ02 free shuttle, they are every 15-30 minutes and is free. Taxi will cost you Rm8-10, Uber/GrabCar is around Rm3-4. Hi, i need go to three two square from lrt taman bahagia..how long will it take to reach and how frequent the bus come? how the opposite journey? Hi, you can take LRT to Asia jaya, then take 780 from Jalan Utara to 3 2 Square. It takes about 30 minutes for entire journey. How about the return journey? You can choose to go back to the same place and take 780 to SS2, then go to bus stop near Poh Kong and take PJ04 or T784 to Taman Bahagia LRT. You can choose to take 780 and then LRT as well. Hi, I need to travel from lrt taman paramount to Osim company. Which bus should I take? And which bus stop should I stop? Hi, you can take LRT to Asia Jaya, then take PJ01 or PJ02 free shuttle to OSIM. You can get down at Quill 9. Hi, the shuttle bus is every 30 minutes, the bus stop is at Jalan Utara and for return journey, you can just take T786 from Jalan Semangat back to Asia Jaya, then take LRT to Paramount. Hi, I need to travel from Taman Desa Pesona Apartment, Jalan 17/21e, Seksyen 17, 46400 Petaling Jaya, Selangor, Malaysia to Osim company. Which bus should I take? And which bus stop should I stop? Hi, you can take RapidKL T786, you can stop near Dutch Lady. You can wait outside of Happy Apartment. May I know the shuttle bus from paramount lrt and asia Jaya lrt to three two square? Hi, you can take PJ01, PJ02 or 780 from Asia Jaya LRT, near Jalan Utara, to 3 2 Square. Hi, what about from paramount LRT station to 3 Two square? You'll need to walk some distance to SHell Taman Paramount and take 780 to 3 2 Square. What about from paramount lrt to three two square? Hi, you can take T787. They comes about every 30 min during peak hours. 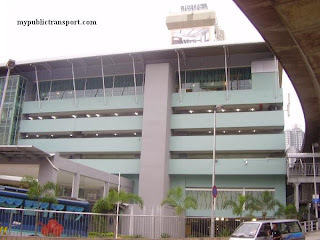 Hallo, may i know how to go to Crystal Crown hotel from Lrt Asia Jaya? Thank you in advance. Hi, you can walk there directly. hi.. how do i go to jaya 33 from 17/6? Hi, you can take T786 from Jaya One to Jaya 33.
if from mrt phileo damansara, is thr any bus can reach sinchew jit poh? Hi, yes you can take T816. May I know is there any bus to reach Jaya One from Taman Desa Pesona? 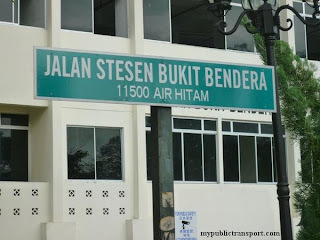 And also from Taman Asia lrt station to Taman Desa Pesona? Thank you. Hi, you can walk from Taman Desa Pesona to jaya One. 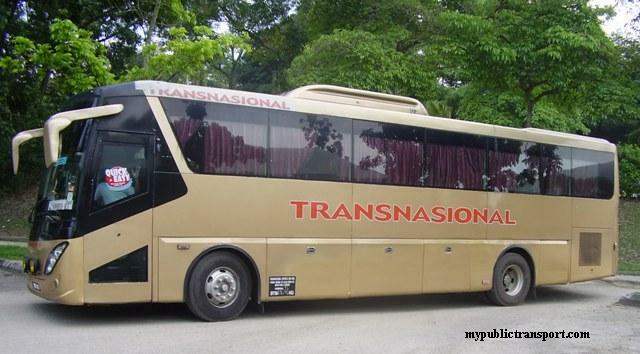 You can take t786 or PJ01 from Asia Jaya to Jaya One/Taman Desa Pesona. Hi, how do i go to mrt phileo damansara from mentari court pj? Hi, you can take 770 to Asia jaya, then take T786 to Phileo Damansara. Hi! Is there any bus going to Jalan Tandang, PJ from Asia Jaya LRT Station or Taman Jaya LRT Station? Thanks in advance. Hi, you can take T640 from Taman Jaya LRT to PJ 466 and walk to Jalan Tandang.